One year following its acquisition of Routehappy, the first for the 54-year-old company, ATPCO announced that it has fully integrated Routehappy into the organization, bolstering its leadership team, and creating a new Retailing Solutions product line to infuse retailing into the company’s culture. By fully integrating and aligning ATPCO’s flagship pricing data with Routehappy’s comprehensive rich content, ATPCO is vastly expanding its value to the industry. This combination enables ATPCO to better provide modern retailing solutions including dynamic pricing, branded fares, rich content, the International Air Transport Association’s (IATAs) New Distribution Capability (NDC) and other distribution capabilities along with the newly unveiled Next Generation Storefront solution. With the expanded focus on retailing, ATPCO is announcing some key leadership changes to its executive team. Three former Routehappy heads are now positioned to foster an even more innovative spirit at the company, matched with the deep knowledge and support of ATPCO’s seasoned team. The newly constituted leadership team reports directly to Purzer, who was recently named one of the industry’s most influential people in Business Travel, and will work hand-in-hand to continue ATPCO’s journey of transformation. More than 155 people have joined the company since October 2016, fueling new collaborative energy working together on the company’s products that power flight shopping globally. ATPCO is continuing to modernize with a key focus on aggressively hiring industry professionals and new entrants alike to help create the future of flight shopping together. All former Routehappy staff have accepted roles within ATPCO, focusing on retailing. The new Retailing Solutions product line brings together ATPCO’s Optional Services and Branded Fares with Routehappy’s Amenities Hub, UTA Hub, and UPA Hub. ATPCO Retailing Solutions helps airlines create, manage, and distribute differentiated products through all channels, enabling them to integrate and display differentiated airline products to consumers worldwide. The new alignment creates more efficient and accurate content, improving content availability and time to market. 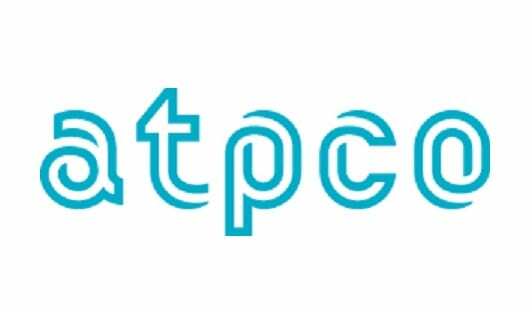 ATPCO’s innovative Next Generation Storefront solution, which provides channels a better way to display flights, will be incorporated into Retailing Solutions after incubation. Retailing Solutions has had important recent customer wins, including American Airlines, Delta Air Lines, Emirates, and Japanese GDS Infini. The new Retailing Solutions team is working on launching codeshare UPAs (Universal Product Attributes) for more partner airlines and expanding UTA (Universal Ticket Attribute) content coverage. All ATPCO Retailing Solutions rich content subscriptions will continue to be sold under the Routehappy brand name.